The produce ratings are another big step forward for the Good Food movement and its efforts to encourage responsible production, quantified by third-party certification. Each of these programs also is indicative of Whole Foods’ history as an international leader in promoting independent certification for product attributes such as organic, non-GMO, gluten-free, fair trade, and more. Earlier this year, Whole Foods announced that, by 2018, all products in its stores will be required to carry labels identifying whether they contain genetically modified organisms (GMOs). The Non-GMO Project reports that in response to this action, more than 900 manufacturers have begun the process of getting certified as GMO-free, a number that is expected to swell as the labeling deadline approaches. “We are constantly evolving and looking at ways we can improve our communities and our planet, support our supplier partners, and help our customers make informed choices by providing them with deeper transparency. Implementing our new comprehensive produce ratings system is our latest effort to do just that,” said John Mackey, co-founder and co-CEO of Whole Foods Market. Actions such as its GMO labeling and produce rating policies may mitigate the mixed feelings that some in the Good Food movement bear toward Whole Foods, despite the major role it has played in popularizing and educating consumers about sustainable food options. Mackey hews to a libertarian philosophy on economics and politics that he outlined out in his book, Conscious Capitalism. He has been outspoken in his criticisms of the Affordable Care Act (aka Obamacare), and in his contrarian views on global warming. This, along with the company’s opposition to union representation for employees, have raised some hackles, including those of some Whole Foods customers who have differing views. Also the upscale pricing of many items on its shelves is an issue for some in the movement, especially those who are working to expand access to healthy, sustainable food for less affluent Americans. Whole Foods is moving to address this issue by planning stores with more moderate pricing in some low-income neighborhoods, such as Detroit and the Englewood neighborhood on Chicago’s South Side. Despite such issues, the company continues to grow… and grow… even as its actions keep it at the forefront of sustainability. This is evidenced by the fact that Mackey and co-CEO Walter Robb have created the most valuable supermarket chain in America as ranked by its $22 billion market capitalization. The system will reward organic practices while also acknowledging the benefits of other certifications, including Fair Trade, Rainforest Alliance, Protected Harvest, and Demeter Biodynamic. “Whole Foods was the national leader in taking organic mainstream, and with these standards they are encouraging and rewarding producers to create safer and more sustainable food,” says organics expert Chuck Benbrook, a professor at Washington State University and advisor to Whole Foods in developing the produce standards. Farmer Jim Cochran of Swanton Berry Farm in Davenport, Calif., has been a major supplier to Whole Foods for decades and credits their stores with “expanding markets for organic produce in an exponential way, by providing farmers vast new markets.” Cochran was a pioneering organic strawberry grower in California. In addition, his farmworkers are unionized and participate in an innovative employee ownership plan. 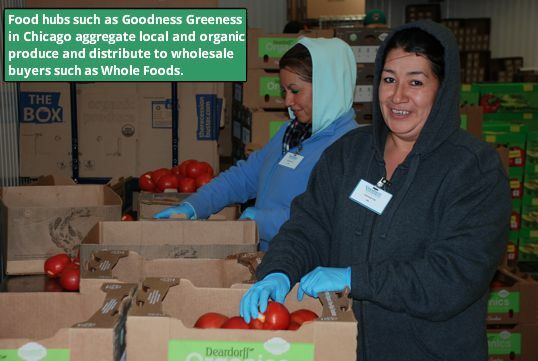 This program continues Whole Foods leadership in building accountability into the food they sell. Theirs were the first major supermarkets to promote organic food by prominently displaying organic labels on products and store shelf promotions, while educating consumers about the benefits of organic. Now other retailers and restaurants such as Chipotle are following suit. An issue the standards don’t appear to address is local food procurement, despite the fact that Whole Foods was an early adopter in labeling and promoting local produce. This was one of the major criticisms of Whole Foods in The Omnivore’s Dilemma, a 2006 book by journalist Michael Pollan that helped increase public awareness of the issues of industrial versus sustainable food production. 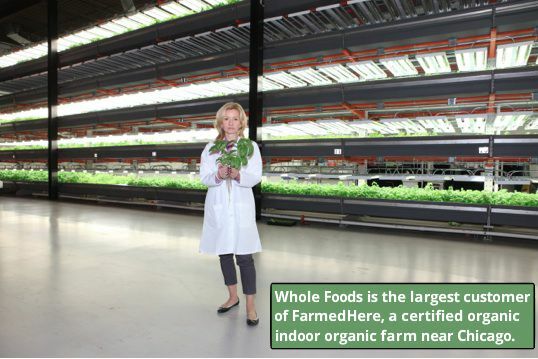 It is an area in which Whole Foods still faces heat because many of their regions struggle with getting adequate quantities of locally sourced fruits and vegetables. 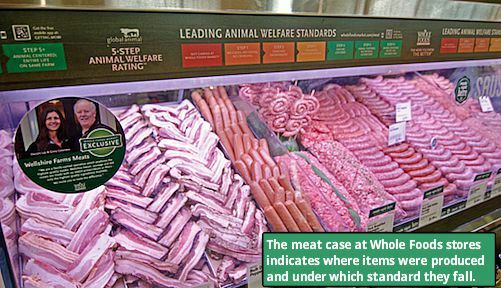 Step 5+: the entire life of the animal spent on an integrated farm. The GAP system is now being adopted by many producers who want access to customers who care, often deeply, about how farm animals are raised. For example, when Tyson Foods Inc., the Arkansas-based producer that is one of the nation’s largest poultry corporations, launched an antibiotic-free chicken line, it was certified by GAP as Step 2. The retailer also played a key role in developing the Marine Stewardship Council (MSC) and became the first major retailer to sell seafood certified as sustainable. “Committing to MSC-certified sustainable products and launching our comprehensive wild-caught seafood rating system has given us the infrastructure to provide full transparency to help our shoppers make informed decisions that support the future health of our oceans,” said Margaret Wittenberg, global vice-president of quality standards for Whole Foods Market. Wittenberg was an early MSC Board member and key driver of its success. Whole Foods took this to another level by working with the Monterey Bay Aquarium in Monterey, Calif., and its Seafood Watch program, as well as the Blue Ocean Institute, to implement a three-tiered color-coded standard for seafood sold at its stores: best (green), good (yellow), and avoid (red). On Earth Day in April 2012, Whole Foods banned the sale of non-sustainable seafood bearing the red label. This program has played a key role in influencing the seafood-buying practices of restaurants, institutions, individual consumers, and most of the large-scale supermarkets in America. Walmart’s statement continued, “As of Jan. 31, 2012, 76 percent of our fresh, frozen, farmed and wild seafood suppliers were third-party certified and an additional 8 percent had developed the required certification plans. The truth is that Whole Foods, while not uncontroversial, has been a market leader on sustainability issues for years. It’s unlikely that conventional supermarket chains would have nearly as many organic or otherwise sustainably produced items in stock had the issue not been forced by this rapidly growing retail competitor. 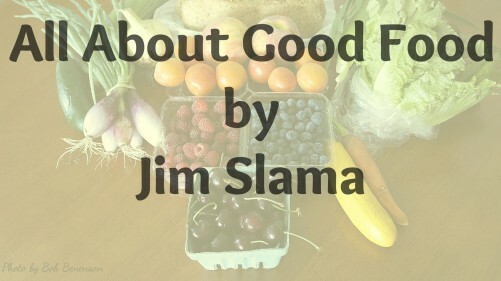 The Good Food movement will benefit if Whole Foods’ produce ratings similarly bear fruit. 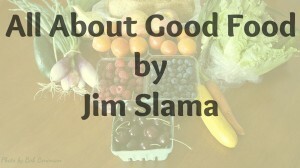 Jim Slama is president of FamilyFarmed.org, founder of the Good Food Festival and Conference, and co-founder of GoodFoodonEveryTable.com. Follow @FamilyFarmed.org on Twitter. This entry was posted in Sustainable food retailing, Sustainable food standards and tagged Bob Benenson, Good Food movement, Jim Slama, sustainable food, sustainable food retailing, sustainable food standards, Whole Foods Market. Bookmark the permalink.